A bottle of Turkish raki (pronounced ra-kah) behind a bar counter is a rare sight, even in a bar industry as diversified as Singapore’s. The clear spirit, made from twice-distilled grape must and anise, is a syrupy concoction that tastes of liquorice. On the first sip, it is hard to imagine raki’s place in a cocktail, especially since the Turkish often drink the liquor straight up, in long glasses filled nearly to the brim with only a dash of water and ice to cut its potency. At the hands of Thomas Sobota, the head bartender of Fat Prince, raki becomes one of the star ingredients in the bar’s intriguing new Middle Eastern-inspired cocktail menu. Though the menu may have received a facelift, Fat Prince is not new. The gourmet café and kebab establishment opened in late 2016 and has become a staple dining spot for anyone who loves Middle Eastern food. 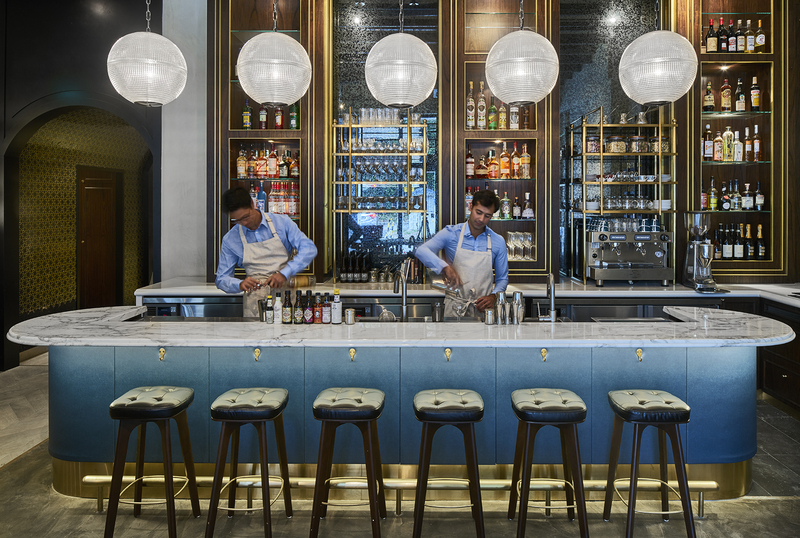 With a palette of burnished gold, dark wood and azure blue, the interior is reminiscent of the rustic cafés around Karaköy, especially when you notice the raw, grainy walls that line the space. The contemporary music played (rap, when we visited) and the bustle of the dinner crowd also enhances the laidback, easy vibe of a Turkish café that Fat Prince guns to recreate. The previous cocktail programme at Fat Prince was dominated by classic cocktails twisted with dashes of Middle Eastern ingredients, along with beers and wines sourced from around the Mediterranean. This time around, Sobota has broken away from the mould by making Middle Eastern flavours the centre of attention, rather than simply reapplying them to the template of a classic drink. Of the 12 cocktails available, only one is a carryover from the previous menu. Fat Prince regulars will be happy to know that the lone import is the establishment’s signature, the Beirut Negroni. 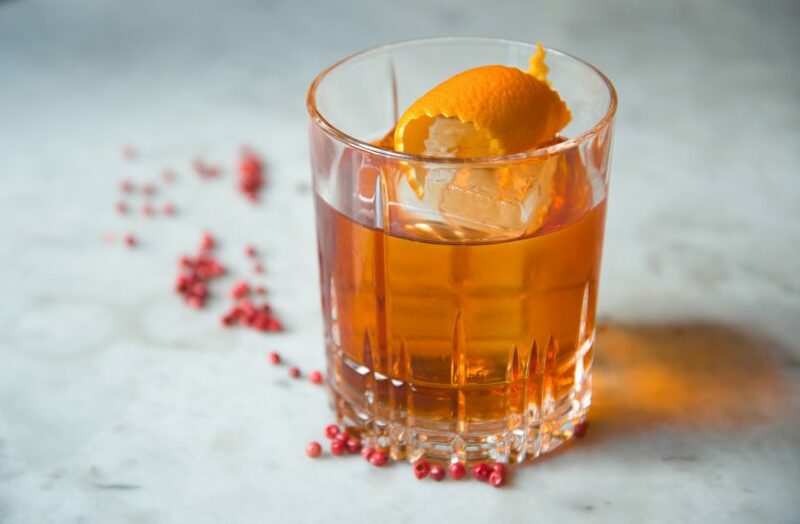 Despite the fact that many drinkers bear an almost-religious fervour for the negroni, it remains a cocktail that takes some getting used to. Fat Prince’s rendition, however, has no barrier to entry and can convert even the staunchest negroni hater (bold statement, we know). Made with pink peppercorn-infused Beefeater gin, Mancino vermouth and Campari, the proportions are tweaked to ensure the final beverage is a balanced, and not overly bitter one. Of the two raki-based cocktails on the menu, we had the Karakoy Nightcap. 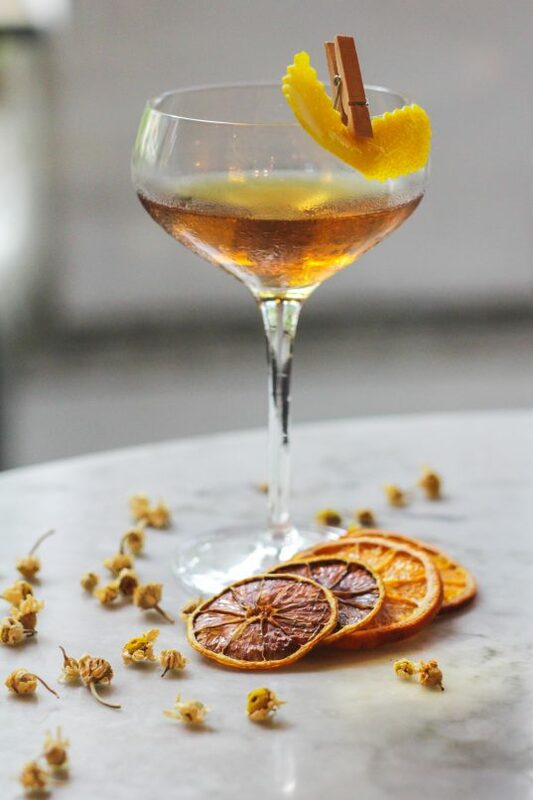 The spicy and slightly medicinal cocktail is the very definition of spirit-forward, thanks to the combination of tequila, grape raki, maraschino liqueur and sweet vermouth within. The final drink is the only large format serve on the menu. Titled Prima Donna, the blend of Frangelico, Hendrick’s gin, dry Chardonnay, cranberry bitters and rosehip syrup read like a confusing mix on paper, but in reality, the bright magenta liquid is an easy, fruity beverage that demands to be enjoyed on a beach. Every order of the Prima Donna comes in a large teapot and serves four to six. 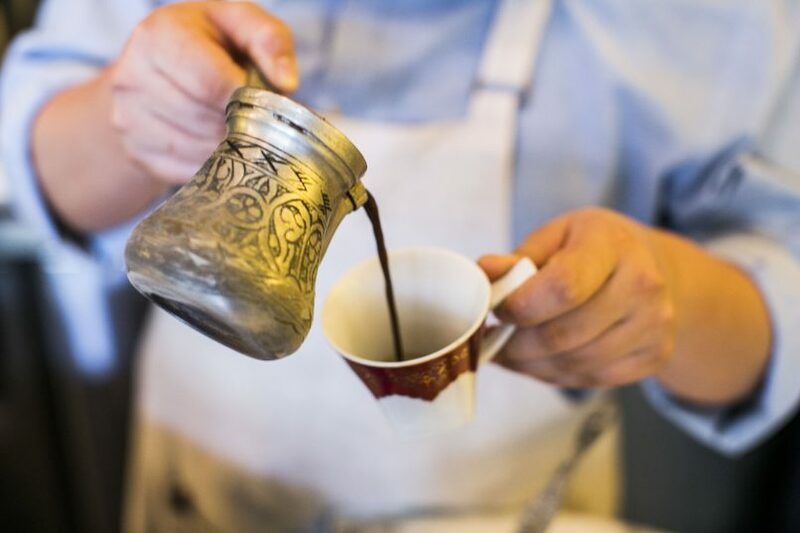 Turkish coffees are also a highlight at the Fat Prince. The unfiltered brew is steeped in cezves (small coffee pots) and heated in a sandpit by the bar. Homemade sodas are also available on its own or mixed with a spirit of your choice. 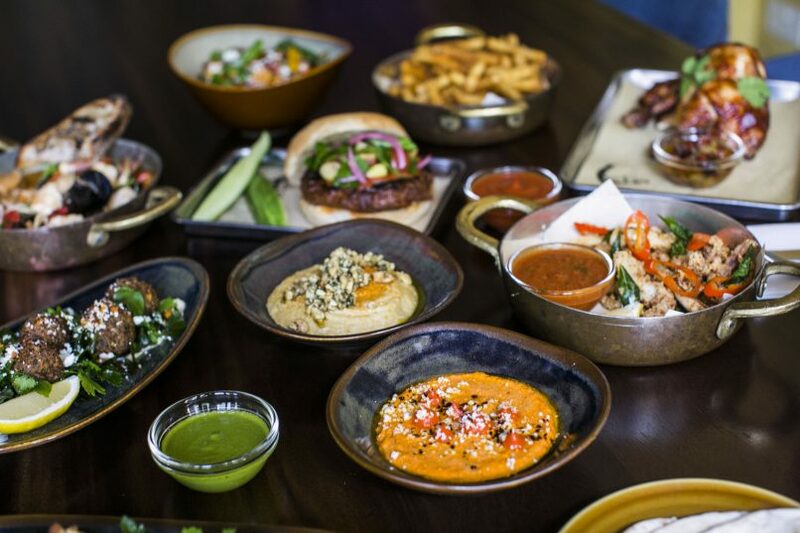 Fat Prince’s mezze selection makes for fantastic bar bites. If there is one thing you cannot leave without, it is a taste of the cashew hummus. The creamy mound of chunky hummus, topped with fresh gremolata, chopped cashews, and a warm drizzle of olive oil is the perfect companion for the pillowy pitas, charred just-so by the charcoal grill. Aside from the hummus, the feta muhammara is another excellent dip to order. Don’t ever let its lurid orange hue put you off. The coarse purée of urfa biber — a sun-dried, sweet Turkish pepper — and feta cheese is a moreish combination of smoke and salt that’ll keep you dipping. For those who need something fried to nibble on, the crispy slivers of smoked pepper squid, tossed with lemon vinaigrette and chilli powder, is your go-to. Middle Eastern restaurants may be commonplace in Singapore, but Fat Prince’s updated cocktail menu offers a fresh way to consume Mediterranean flavours that will pique the curiosity of even the most seasoned local diner here. Opening Hours: Monday – Friday from 8am for coffee, 11.30am to 3pm for lunch, and 6pm to 12am for dinner. Saturday from 11.30am to 3pm for brunch, and 6pm to 12am for dinner. Recommended drinks: Beirut Negroni, Prima Donna, Karoky Nightcap. 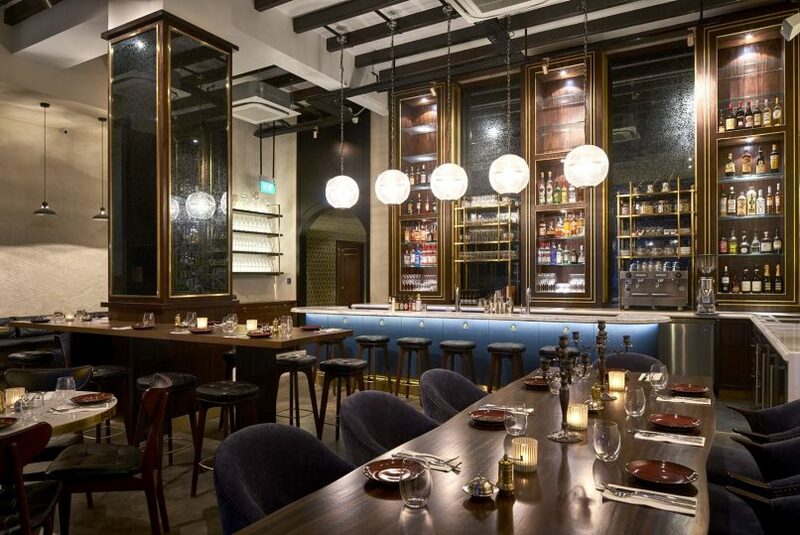 Price: S$18 to S$22 per cocktail.